When I am bored of curries and stir fries, I prepare Badane gojju or mashed eggplants. Its just delicious and tastes awesome with plain rice and curd. Wash and boil the whole eggplant (sometimes I grill it or burn it on gas until it becomes soft, it adds extra flavor and nice smell) then peel the skin after it cools. Now mash it and add chopped onions, green chillies, tamarind water and coriander leaves mix it well. Now tamper it and serve it with rice and curd. My mom makes it really tasty by grilling the eggplant in wood fire. 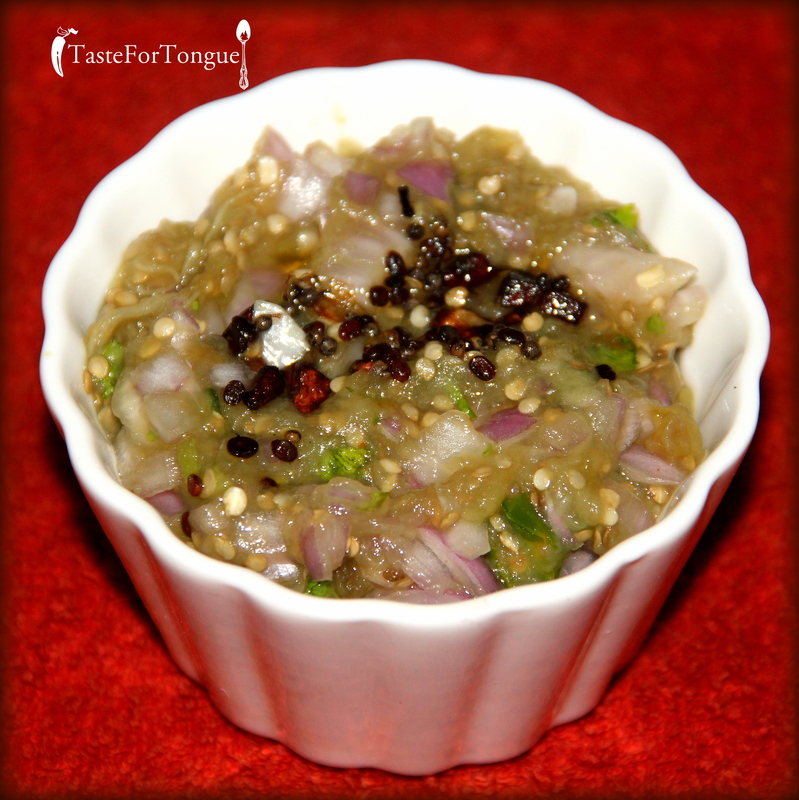 Ridge gourd or Heerekayi is best suited for chutney than any other recipe. 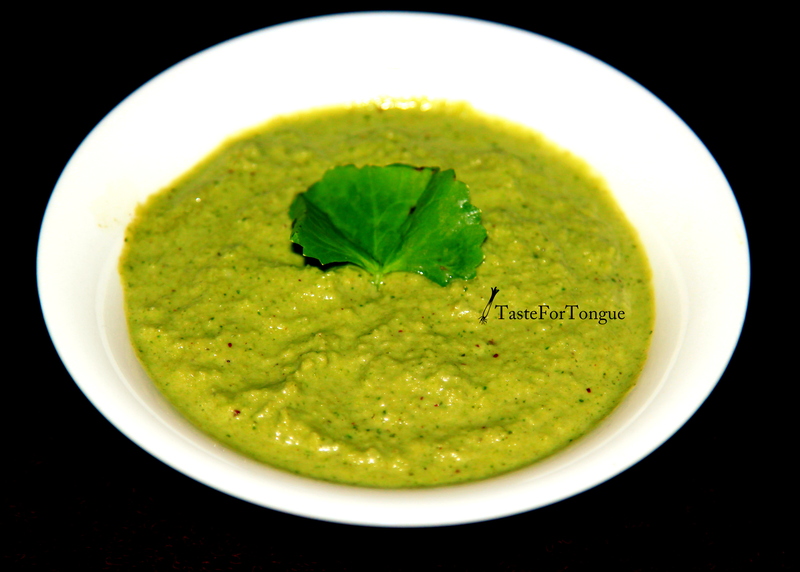 You can prepare palya, curry and many other things but chutney is the best. 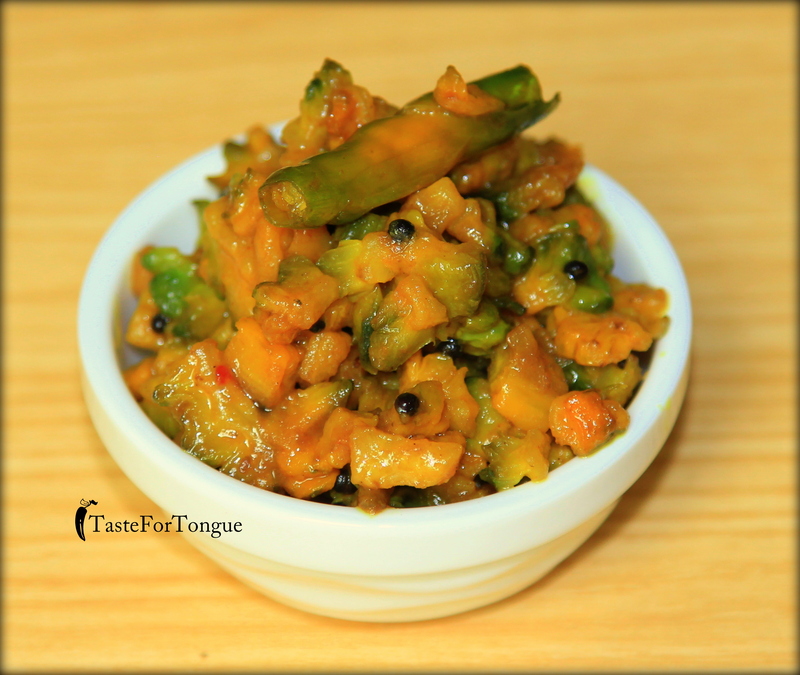 My mom prepares ridge gourd ‘Dosa’ and it is damn tasty, and whenever she prepares dosa she makes chutney out of ridge gourd’s skin (for preparing Dosa, ridge gourd skin is peeled and only inside flesh is used). But today for this recipe I have used everything including skin so there is not much work of cutting and sorting the vegetable. Wash an clean the ridge gourd and cut into 2 pieces and cook it until it becomes soft. Take it out from the water and grind it with coconut, green chillies and salt. Add little water while grinding to get the smooth paste. Tamper it with Ghee and the ingredients mentioned above. Chutney is ready to be served with Dosa or rice. 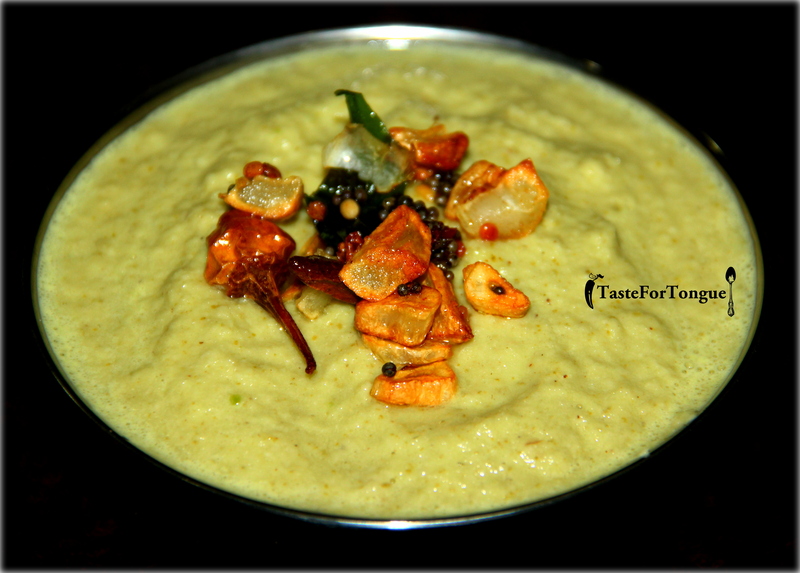 Today’s recipe is my all time favorite potato gojju. I prepare it at least once in a month. It goes well with rice but if you want to just eat it and get the feel of mashed potatoes, then minus the chilly from recipe. Peel the potatoes and boil it until it becomes mushy. Let it cool before you mash it into smooth paste then add finely chopped onion and vertically cut chillies avoid fine chopping of chillies because you may find it very spicy to eat) mix it well with yogurt. Now add little water to bring the consistency of paste. Tamper it with garlic and mustard (I used Ghee instead of oil for better taste and smell) and garnish with chopped coriander leaves. Now serve it with hot rice or curd rice.